Gift giving season will be here SOON!! I always struggle with what to give that person who has everything and doesn’t want or need anything…you probably know THAT person, too. However, I think I’ve found the perfect gift for the wine lover in my life. It’s a DNA test that will give you the primary wine flavors you are attracted to and how you’re likely to respond to subtle tastes like cut grass, coffee, and butterscotch. It is SO fascinating! 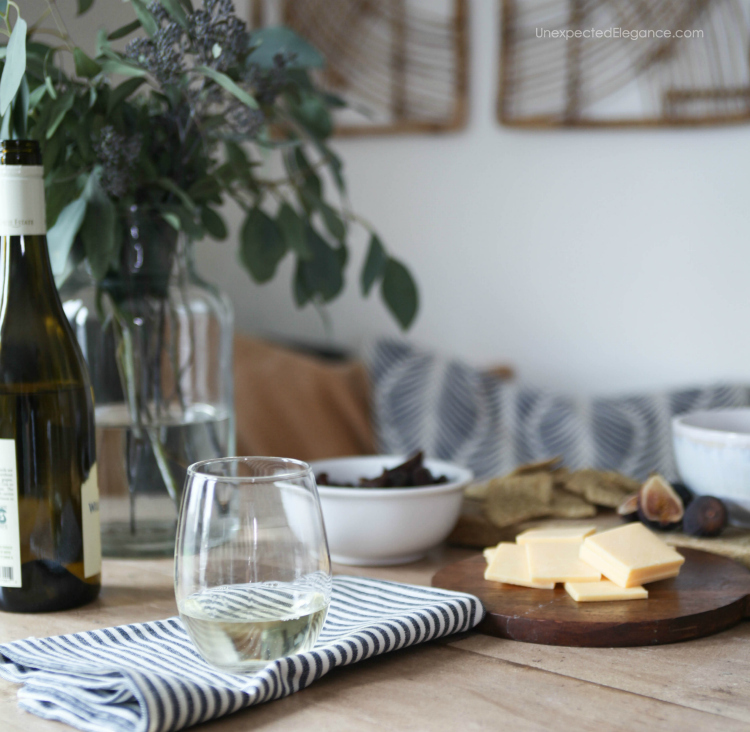 I always thought my favorite wine was a dry Chardonnay, but this has narrowed it down to the flavors in certain Pinot Gris and Zinfandels…I had no idea. The first couple of bottles I have tried since getting my recommendations have been delicious. 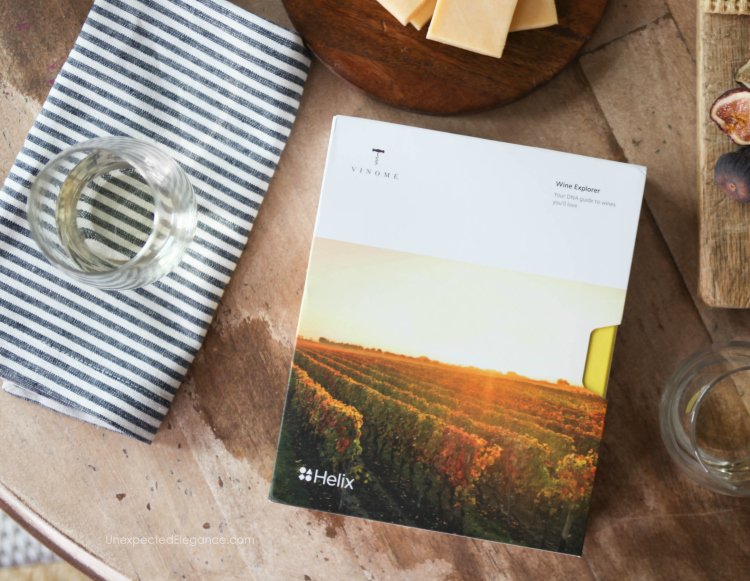 I ordered Vinome’s Wine Explorer kit online from Helix‘s website. Helix is a store for DNA-powered products. Helix has different high-quality, trusted partner companies (like Vinome), a state-of-the-art lab, and has created the first platform of personalized products and services powered by genetics. Some of their partners include Mayo Clinic, Invitae, Mount Sinai, National Geographic, Vinome and more. Each product (Vinome, in my case) provides you with unique insights about yourself based on your DNA and actions you can take based on that information. For example, the first product you purchase through Helix might teach you about your ancestry or health. After you’re sequenced by Helix to generate the insights for your first product, you’ll then be able to purchase more DNA-powered products without ever having to be sequenced again. THAT IS AMAZING!! Helix’s proprietary technology, called Exome+, reads every letter of all 22,000 protein-coding genes in your body…which produces 100 times more data than most consumer genetics companies. Through this additional information, Helix can work with partner companies and offer people products that were never possible before. So this is how it works, they send you a DNA collection kit in the mail, you provide a small saliva sample and send it back to their lab. They’ll sequence your DNA by reading the millions of letters of your genetic code that you inherited from your parents. They store and protect your genetic data so you can access and share it with any of their partners without ever having to provide another DNA sample. Believe me, it’s so simple…I want to order them all! However, I started out with Vinome’s Wine Explorer. 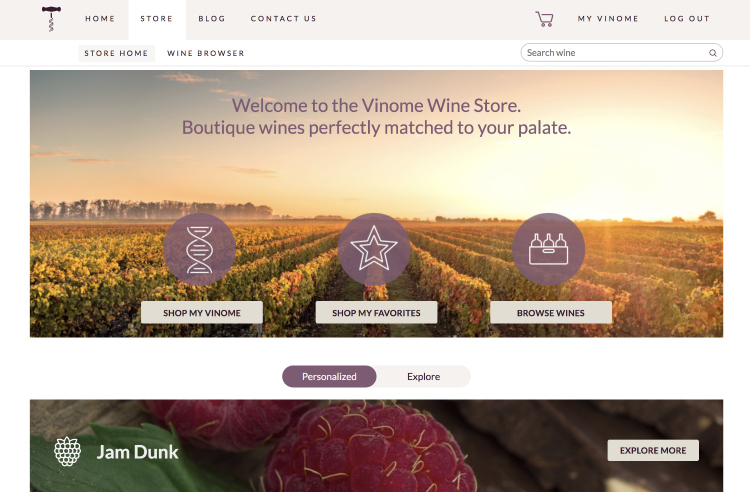 Vinome has partnered with esteemed wineries throughout the West Coast to offer boutique, high-quality wines, scientifically tailored (via DNA and survey questions) to your palate. 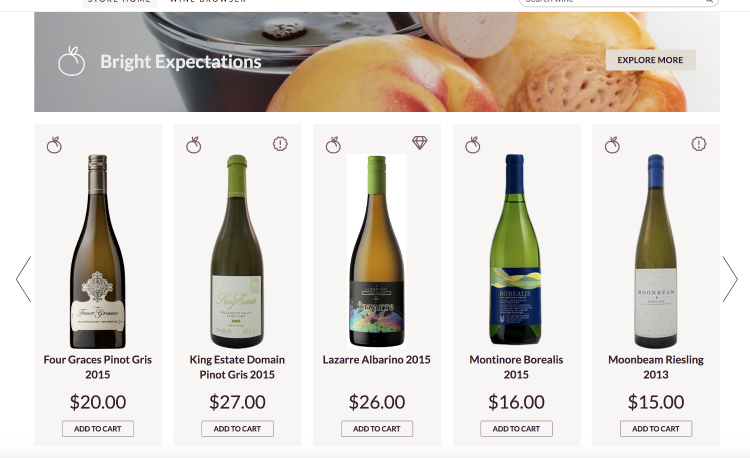 With these insights, you can discover hard-to-find, curated wines uniquely tailored to your taste preferences and scientifically selected using your DNA. Vinome looks at the DNA that codes for different taste and smell receptors and other parts of your DNA known to influence flavor preference. They use this information along with a short survey to identify a taste preference profile and match you with wines that fit that profile. This kit is such a unique gift idea, but don’t forget about yourself! Here’s 30% off any purchase for the first 25 unique users: HelixhEZ2. Just type in the code at checkout. 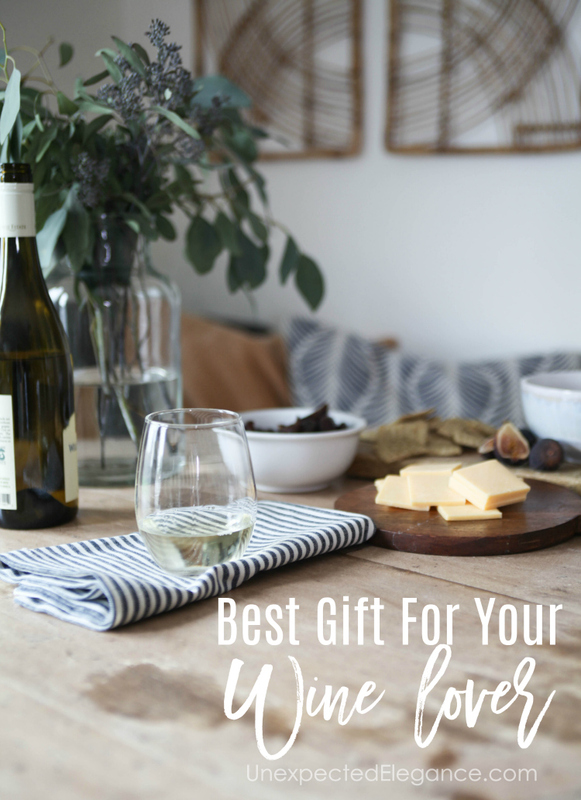 A great way to gift this would be with a bottle of their favorite wine! 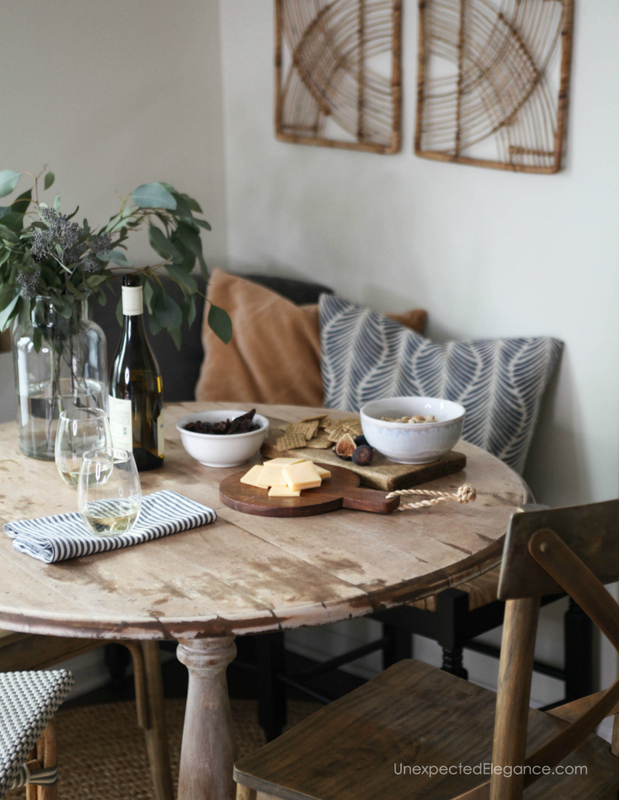 Check out this post to see how to wrap it: Wine Gift Package. Can you think of someone who would love getting this??! ?